On February 23, 2018, ShuffieldLowman attorney Matt Firestone will present a Bankruptcy Law Committee Seminar entitled “Time to Learn Your ABC’s: Homeowners Association Accounting for Bankruptcy Cases” from 12:00 PM – 1:00 PM. Matt will discuss the need for community associations to adjust their account ledgers and other potential pitfalls for community associations after a homeowner files bankruptcy. This event will take place at the Orange County Bar Association Center and is free to students, government employees, and all members of the Orange County Bar. For non-members interested in attending, there is a $15 entry fee. For more information on the event, visit the Orange County Bar Association website: http://calendar.orangecountybar.org/event.php?event_id=2659. We look forward to seeing you there! On January 17, 2018, ShuffieldLowman attorney Jennifer Wolgamott will host a free Estate Planning Seminar at the Leesburg Public Library at 2PM. Mrs. Wolgamott will discuss Estate Planning and, in particular, the function and applicability of a Will, Durable Power of Attorney, Living Will, Health Care Surrogate and a Trust. There will be a question and answer session following the presentation. In the previous two years, this seminar has been part of the “Life Long Learning” program at the Leesburg Public Library. This year, Mrs. Wolgamott will be the sole speaker. If you attend the event and make an appointment with Mrs. Wolgamott you will receive a free Estate Planning Consultation. For more information on the event, visit the library website: http://mylakelibrary.evanced.info/signup/EventDetails?EventId=34177&backTo=Calendar&startDate=2018/01/16. ShuffieldLowman’s four offices are located in Orlando, Tavares, DeLand and Port Orange. The firm is a 40 attorney, full service, business law firm, practicing in the areas of corporate law, estate planning, real estate and litigation. Specific areas include, tax law, securities, mergers and acquisitions, intellectual property, estate planning and probate, planning for families with closely held businesses, guardianship and elder law, tax controversy – Federal and State, non-profit organization law, banking and finance, land use and government law, commercial and civil litigation, fiduciary litigation, construction law, association law, bankruptcy and creditors’ rights, labor and employment, environmental law and mediation. ShuffiieldLowman is participating in the Inaugural 5k Run/Walk held by the Brianna Marie Foundation on Saturday, March 16th at 8:00am. The Hissam family and Brianna Marie Foundation are friends and pro-bono clients of attorney Julia Nikitina. The firm helped establish and secure public charity status for the Foundation, whose mission is to raise funds to foster future research and development of a fatal illness known as Fetal Hydrops. The disease causes abnormal amounts of fluid buildup in two or more body areas of a fetus or newborn. The Hissam’s daughter, Brianna Marie, succumbed to the disease hours after her birth but in those hours, she had a great impact on the lives of everyone around. Brianna Marie, daughter of Aran and Patrick Hissam was diagnosed with Fetal Hydrops in November of 2011 and given a zero percent chance of survival. Brianna was born on March 16, 2012 and was with us for 15 hours before God took her back as his angel. Despite what the initial diagnosis was, Aran and Patrick fought with some amazing doctors for their daughter’s life. So much was learned about Fetal Hydrops, fetal lung growth, and the successes brought on by fetal therapies. From being told by some that we would never see lung growth to seeing significant growth post surgery tells how much can be done to help with the right physicians and correct knowledge. ShuffieldLowman is proud to have been a sponsor of the Veterans Housing Initiative Pro-Am Golf Tournament presented by Habitat for Humanity Lake-Sumter. The event kicked off a fund raising campaign to build a house for a disabled Vietnam Veteran, and launched a campaign for a new 15 bed Transitional Housing Facility for Veterans. ShuffieldLowman attorney Jason Davis is a Habitat for Humanity Lake-Sumter Board of Directors member. The Veterans Housing Initiative is a partnership between Habitat for Humanity of Lake-Sumter and LifeStream. Serving as community catalysts, Habitat and LifeStream, in partnership with the PGA Tour Players, are leading an effort to support and encourage the estimated 2,800 servicemen and women returning from Iraq and Afghanistan. The Veterans Initiative campaign is designed to raise the capital to fund a vision that helps facilitate movement of Veterans toward self-sufficiency and shelter. Once completed, the Transitional Unit for Veterans will serve an estimated 50 vets a year. 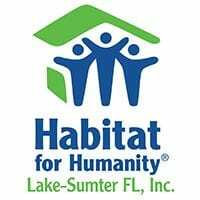 Visit Habitat for Humanity Lake-Sumter to learn more about supporting Habitat for Humanity and the Veterans Initiative. ShuffieldLowman is proud to have been a sponsor of the City of Ocoee’s recently held 19th Annual Founder’s Day Festival. ShuffieldLowman partner, Scott Cookson, and attorney Robin Drage serve the City of Ocoee as City Attorney and Chief Assistant City Attorney.